Hi, my name is Jamie. If you want a top quality boiler at an affordable price & fitted by an engineer you can trust, then you’re in the right place! Of course we all like a bit of proof, so check out what people are saying about me in my latest google reviews further down this page. I’m a tidy worker and will keep your place as clean as I found it after my job is done. You can always contact me before or after your Boiler Install and I’m happy to return to service your New Boiler when the time comes. Which Gas Boiler Should You Choose? A few of my customers have an old copper hot water cylinder & gas system boiler in their home and sometimes your system isn’t suited to remove the hot water cylinder and swap over to a combi boiler, so I do sometimes supply & fit new gas system boilers. Normally you have either an old system that can be upgraded, or your old boiler is already a gas combination (combi) boiler that supplies hot water and central heating directly from 1 boiler. I’m an approved installer for 5 manufacturers BUT most of my clients choose Worcester, Vaillant or Ideal gas combi boilers. I’ve been repairing gas heating & boilers for many years so when I’m quoting to install one, I also think about maintenance and repair long term rather than just the installation. To be honest I seem to repair a lot of Worcester gas combi boiler’s these days. The old Worcester’s from 20 years ago were excellent but I think the newer makes and models have gone down hill in recent years. Worcester are partly owned by British Gas so have a lot of money behind them for brand marketing, but I think other boilers have improved and over-taken Worcester in both quality & design. In particular the way the new Worcester compacts are designed is poor & they also cost several hundred pounds more for what is an average boiler. Of course I’ll fit the exact boiler you tell me you want, but I often recommend Ideal boilers, simply because they are super reliable and good value for your money. Many years ago Ideal made a model of gas combi boiler that gave them a poorer reputation and it takes a long time to shake off a bad rep. But in reality they began making a new boiler 6 yrs ago which is exceptional, plus they’ve tweaked it and upgraded it since it’s first production. I can put a 10 yr warranty on the Ideal Logic Plus boiler or a 16 yr warranty on the Ideal Vogue boiler which is pretty amazing. Zero risk of repair costs for 16 yrs! As far as I know you can’t get anywhere near a 16 yr warranty on any other boiler and this speaks volumes for the quality and reliability of the Ideal boilers. Customer service in my experience from Worcester and Ideal is excellent so there’s nothing between them on that score, and they both manufacture only highly energy efficient boilers these days. I can honestly say Jamie and his colleague were 2 of the best gas engineers I had the pleasure doing business with. I had a full boiler replacement from system's to combi. He provided his honest opinion with no pressure and gave me the best quote.The completed job was top class and they cleaned up everything afterwards. Highly recommended. New boiler installation - great service, good price, excellent communication, and very quick too. Highly recommended. Excellent and highly professional service. Jamie came and installed new boiler in no time, providing clear information throughout the process. No mess was made. Everything was done to a highly professional standard. I would absolutely recommend. Prompt, friendly and knowledgeable. Work completed on quote (detailed breakdown) without fuss to a high standard. Will definitely call for future work. Cheers James! Excellent service, Jamie and his colleagues are the best if you need a trustworthy, quick and reliable company to do your gas/boiler work on a really great price. Wouldn't recommend him enough. I'm normally not giving any tips for handymen but when they finished and cleaned up everything I just felt they absolutely deserve it. EXCELLENT tradesman! Really cannot recommend highly enough. Trustworthy, genuine chap who is brilliant value and thoroughly enjoys his work. Thank you Jamie for getting us ready for a cold winter! Called them for a gas cooker fitting - appointment was arranged at our convenience and was fitted as agreed and on time. Reasonable costings also - will use this company again if needed. Jamie has done a few jobs for me, from fixing leaking pipes to a full boiler replacement. He's great at his job and competitively priced, but more importantly he's very helpful, friendly, flexible, hard working and always there to answer any questions. 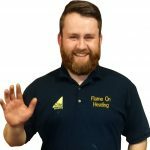 Jamie helped me by carrying out annual landlords safety inspections and repairs on boilers and cookers in a couple of properties for me. He is really reliable which is great as I am away a lot and I know that I can trust him to get on with it. In one case I had an emergency and Jamie came to the rescue again by attending promptly and sorting the issue out immediately. Overall Jamie has provided me with an excellent service. When you contact a company for boiler installation in Manchester, one of the first things you will agree with them is what type of boiler you want. Most companies will carry a range of appliances so that you can find the perfect one to match your budget, lifestyle and type of property. However, you may also want to upgrade your system controls. Improving your controls will have a number of benefits. Firstly, it will be much easier to maintain a comfortable temperature in your home. It can also help you to make savings on your heating bill, since the system will only run when it is really needed. Here are some of the controls you might consider including. Most new systems come with a separate control which operates on a timer basis. This is very useful because you can set the heating to be off during the day, while there is nobody home, and to turn on an hour before occupants are due home. The majority of timers allow you to set the controls for three separate times during the day, and some will allow you to vary the times according to the day of the week. The timer controls will also contain a thermostat, so that the heating will switch off when the room reaches a comfortable temperature. These are commonly fitted in a hallway, where they are the least obtrusive. However, it is better to have the controls installed in your main living area. This is because hallways tend to be cooler than your living space, and your heating system may therefore turn on when it is not really needed. This type of thermostat can be fitted to hot water tanks to save you energy. Older tanks tend to fire up at a set time each day, regardless of whether hot water is needed. This can be inefficient, because it takes a great deal of energy to fire up the system and heat the water. A cylinder thermostat will be programmed to approximately sixty degrees Celsius, and can sense if the water is already heated to the required temperature. Consequently, the tank will not come on if the hot water has not already been used that day. Thermostatic valves are fitted to the radiator itself and allow the homeowner to determine the best temperature on a room-by-room basis. If a room has multiple radiators, each valve should be set to the same value. The values range from one to six, with a three representing a temperature of around eighteen to twenty degrees. If the room is already at this temperature or higher, the valve will sense this and the radiator will start to cool. You can adjust the value to be higher or lower if the room feels too hot or too cold. A new boiler can be a worthwhile addition to a home. If you are looking for boiler installation in Manchester, a company representative can talk you through the options which will save you money on your energy bills. You left a Bosch pump here. Please give me a ring or email. Thanks for letting me know Gerry, I’ll pop back and collect it asap.